A New Crypt Keeper Is Coming - More Within! 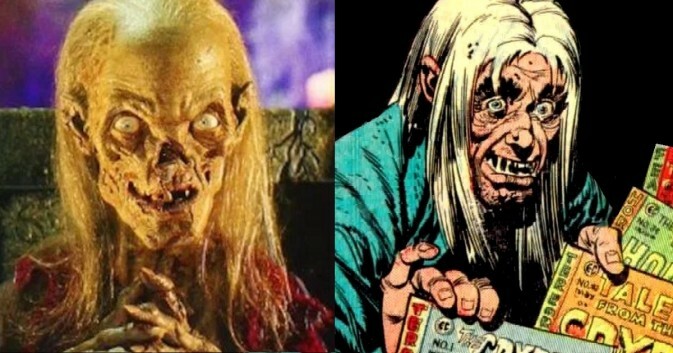 TALES FROM THE CRYPT is a popular show based on EC Comics that originally aired on HBO from 1989-1996. Hosted by the Crypt Keeper himself, the long running series told many tales of Terror in a unique way that is still very effective to this day. We just recently brought you the huge news that TNT will be partnering with M. Night Shyamalan to bring the much beloved Horror anthology series back to the small screen. "@MNightShyamalan any comment on the reports about the crypt keeper not being part of the new show? Excited for a new horror anthology." "@slashfilm I’d never make Tales without the CK! Will be a new take on him as the puppet is property of HBO. Promise he’ll be cool and dark!" A new Crypt Keeper is understandable with HBO owning that particular puppet. It will be interesting to see this new dark version that we are promised. As of now there is no conformation in regards to John Kassir returning to voice the character. There have been reports that each season will have a single storyline for all 13 episodes of the season. This of course has not been confirmed or denied as of yet. In addition B-D has reported that the first season will be based in New Orleans with Voodoo in the air, but once again nothing in regards to that has been confirmed. "It’s not a show, it’s an umbrella for what will hopefully be many shows. We’re going to put a variety of different genre shows…all united under the Tales from the Crypt brand. Night is definitely going to direct the first one and we’ll see how that evolves. And we’re definitely going to utilize the underlying comics." We will continue to bring you more on the upcoming TALES FROM THE CRYPT as we hear it.